New. Mass market (rack) paperback. Glued binding. 656 p.
New. Trade paperback (US). Glued binding. 528 p.
New. Trade paperback (US). Glued binding. 800 p.
New. Sewn binding. Cloth over boards. 528 p.
Karin Slaughter is a wonder woman. A masterful storyteller. If I start going on too much about how GOOD this book is, I might give something away. I wouldn't want to spoil the delicious twists, surprises and revelations that await the lucky reader. I will say that, just like all of Ms. 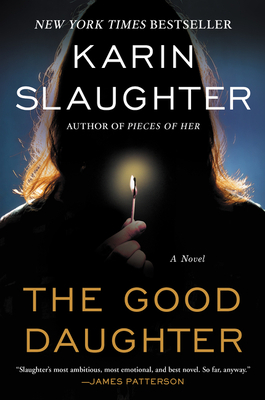 Slaughter's stories, it is written with heartfelt emotion and populated with rich, full characters that you'll care deeply about. This is also a fine look at family, the ties that bind and...love. Beautifully paced and structured and chock-full of shocks that will send you reeling. On March 16, 1989 Charlotte and Samantha Quinn are in exposed to a terrifying attack at their home in Pikeville, Georgia. Their family is torn apart and devastated. Secrets are born on this night. Twenty-eight years later Charlotte is a lawyer in Pikeville. Just like her father. She witnesses another horrific tragedy. One that traumatizes the entire town and brings back memories that she's tried to quell for nearly thirty years.